CBD ESSENCE is at it again with not only a better flavoured oil, but a much smoother texture, meant to give you the ultimate relaxation you need. And this new product is the Hemp Oil Tincture, 300 mg CBD in a 2 oz bottle. Buy now to enjoy the tasty new flavor! 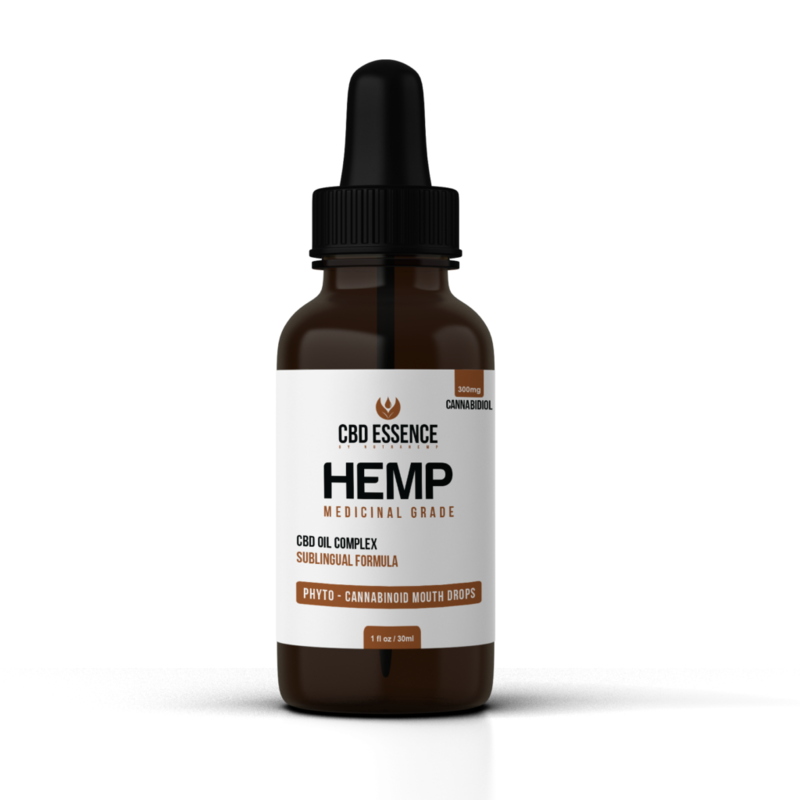 In ensuring that the high quality of this product is maintained, CBD ESSENCE usually takes it through lab testing after the CBD has been extracted using the supercritical CO2 extraction method. Stress: Although stress is a common phenomenon in our millennial age, you don’t have to feel the full weight of it. Using this product may lower your level of stress so that you can think more clearly. Try it today! Pains: Sometimes the body may just be having pains as a result of hard or heavy work. You may be able to reduce and eliminate those joint pains, back pains, and muscle pains by taking this 300 mg Hemp Oil Tincture. Sleeplessness: It’s possible to curb your insomnia by taking this formulated product. Sleep is so important to renew your cells and to relax your body after a long day of work. You can take your first steps towards a peaceful sleep by taking this product. Arthritis: Hemp Oil Tincture, 300 Mg has been tested and approved to deal with arthritis and the pains that come with this condition. But this oil may help relieve you of that pain. Headaches and fatigue: If you always have a feeling of tiredness and experience mild headaches as a result, CBD ESSENCE might have the solution for you. Taking this product may help you experience the rest and relaxation you need. Quality: To ensure that the quality of this 300 mg Hemp Oil Tincture is maintained, the company produces the product in small batches and after that, they are tested by a third party lab. The products are all made from natural and organic ingredients to ensure they deliver the required results. Effects: The cannabidiol (CBD) oil in this product is responsible for dealing with various conditions including headaches, pain attacks, inflammations, arthritis, sleeplessness, depression, and stress, among other conditions. Price: The beauty of this product is that you don’t have to break the bank to get it. For only $48 you can pocket this 1 oz (30 ml) CBD Edible Oil Tincture. You can click on https://hempworldstore.com/cbd-essence-brand-review/ to buy CBD Edible Hemp Oil Tincture online. Final Thoughts: Overall CBD Essence have produced a high quality oil that could help you with a variety of medicinal needs!